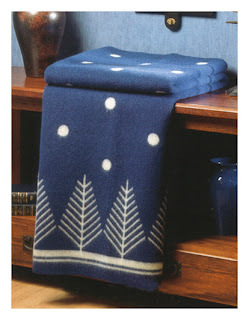 Bright December stars in the sky mean it's clear and cold down below; something warm to wrap up in is a necessity! We're featuring one of our favorite (and best selling) wool producers, Røros Tweed. Røros is a mining town north of Oslo, formerly famous for the rich veins of copper ore nearby, and now a designated UNESCO World Heritage Site. Traditional timber houses cluster around the clear stream that shoots through the town, lights shining from the windows against bright snow. Røros is home to Røros Tweed, a leading textile design group that originally began it's mission as a philanthropic donation from a copper-mining director. As the textile industry evolved, so did Røros Tweed, moving from a cottage-industry that focused on many different textiles to a highest-quality producer with the aim to support the Norwegian wool industry. 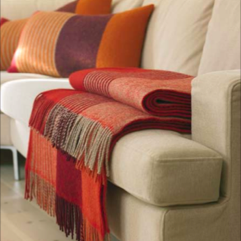 Røros fabrics are woven of pure Norwegian wool, most of which is raised on the nearby hills. High-quality sheep raised in a healthy environment ensure soft, resilient, naturally-moisture absorbing wool, which in turn is spun into yarn and woven into fabric entirely in Norway. The Røros design team comes from across Scandinavia, and pulls from a rich folklore, stunning natural scenery and the climate for inspiration, resulting in truly excellent products. 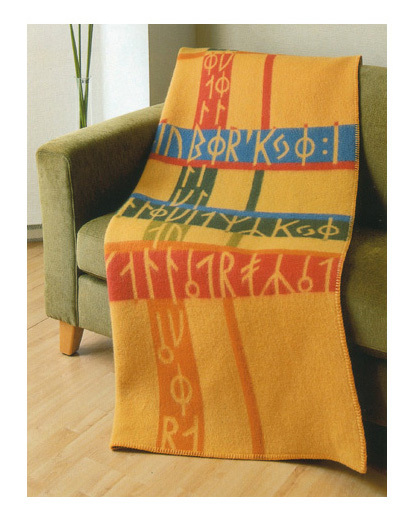 Røros Var Throw Blankets are traditionally woven with a fringe on the end and come in several different colors to accent any room -- warm and beautiful, one of these should be in every room. Marked with lines from the runic poem the Havamal, this blanket provides instructions for living given to the Vikings by their god Odin. Among the most apt of the guidelines as we approach the holiday season: "Even a small shed is better than no shed at all." An elegantly rendered winter scene graces this soft throw; its pure understated beauty that will look great in your home all winter long.